Sheet J3/J4. 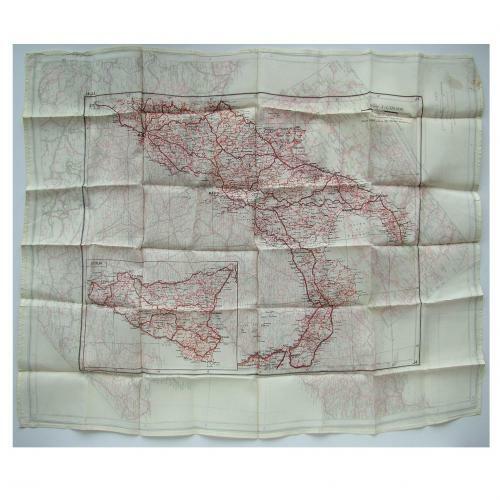 Double sided black, white, red and green silk/rayon escape map, approximately 52 x 64cm. 1 : 378,000. J3 covers Northern & central Italy, the Swiss and Austrian border and has a enlarged section of the Swiss frontier. J4 covers Southern Italy with an inset of Sicily. Hemmed edges. Neatly folded/creased. Light spot marking otherwise in excellent condition. Stock code E19983.